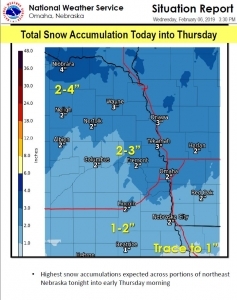 Snow with total accumulations of one to three inches. 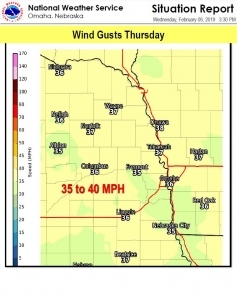 Winds will gust to around 40 mph on Thursday, reducing visibilities due to blowing snow. 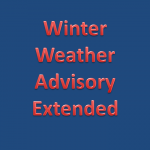 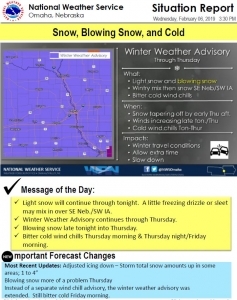 The advisory is for portions of east central, northeast and southeast Nebraska. 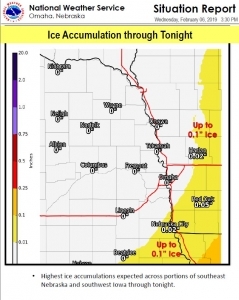 Plan on slippery road conditions. 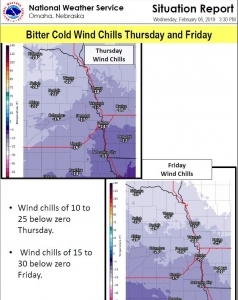 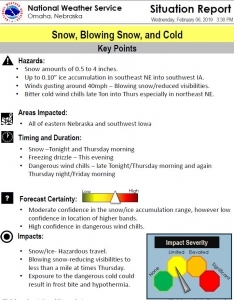 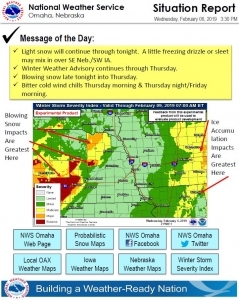 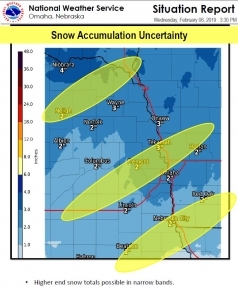 Areas of blowing snow on Thursday could significantly reduce visibility.